In my previous posting on the Mini Baja competition, I described the design and construction of the “dune buggy” for my Mechanical Engineering senior design project. Now that I found the pictures of the actual competition, I’ll talk separately about the actual competition weekend. 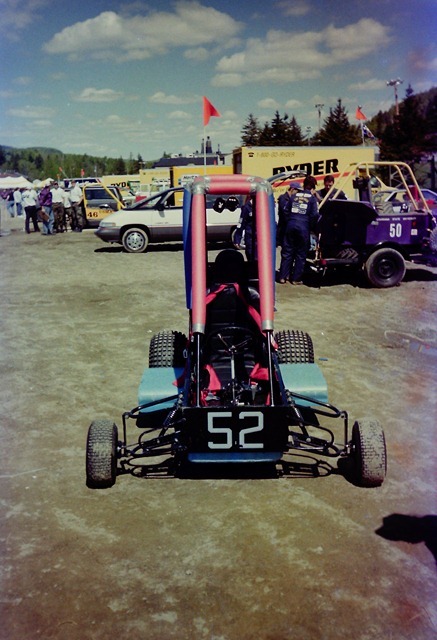 It came down to the wire, but on May 26, 1994, I rented a Ryder truck and packed up the official Cooper Union Mini Baja vehicle in the back, along with the few tools and equipment we had. George was going to join us in Canada, but his mother didn’t want him driving the whole way up there, so she bought him a plane ticket. She was also nice enough to by my younger brother, Jiovanie, a ticket as well, since this now meant that I had to drive the whole way on my own. My college girlfriend joined in the trip, so Abdel volunteered to be buckled into the Baja vehicle for the long journey up to Montreal. At Canadian customs, the officer asked me if I had anything to declare. I told him that I had a friend strapped down in the back of the truck. He just waved me through, and that was officially my first time out of the country (of course, Puerto Rico doesn’t count since it’s a US Commonwealth). We realized that we were small fish immediately upon arriving at the event in Quebec. 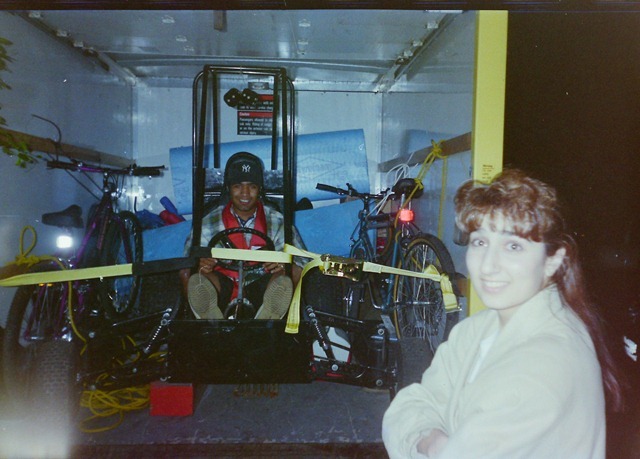 While it was just the four of us there (me, Jiovanie, Abdel, and George), many of the other teams were twenty students strong (or greater), had custom trailers, and a list of sponsors that would make NASCAR drivers envious. I heard talk of $20,000 budgets, an order of magnitude greater than what I had to work with. 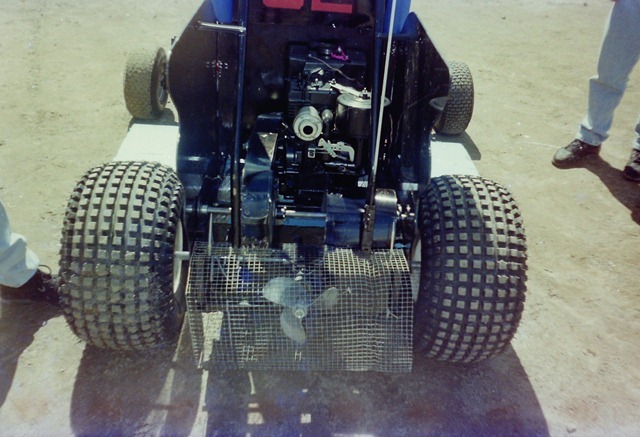 I still remember the first time we pulled the Mini-Baja out of the trailer. Across from us was a team from Stonybrook (if I recall correctly). They had a ramp for their car and 4-6 people to push the vehicle out of the trailer. My friend Abby and I watched them unload. When they were done, we each grabbed an end and lifted our car out of the U-Haul truck and plopped it onto the ground. The team across the way were completely amazed at how light our vehicle was. I guess it was a good thing that the budget was so scarce – it helped to build a bare-bones vehicle. I ended up working with one of those guys from Stonybrook at Honda R&D in Ohio just a year later. 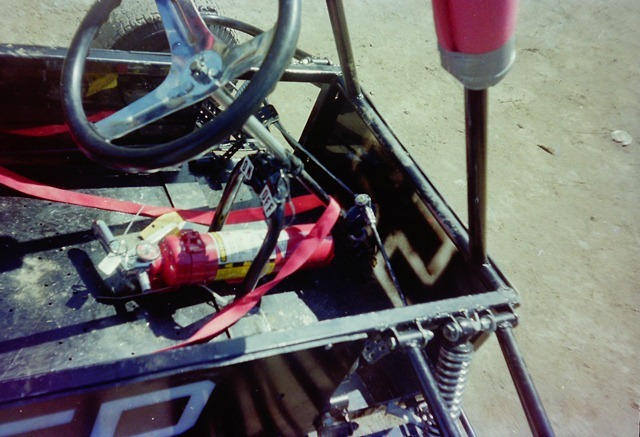 Before any racing could take place, we had to go through a whole series of design and safety inspections. We pretty much nailed the safety inspections with the exception of the rear propeller guard. I had a just put a temporary makeshift chicken-wire cage around the propeller, but it didn’t meet safety requirements. Jiovanie set about modifying and building a custom cage for the propeller that was more structurally sound and helped us pass the inspection. The safety/design judge was nice enough to give us some pointers, given that this was our first time in an SAE competition. His first comment was that the front wheels were too small (something I was completely aware of, but decided to go with the left over wheels from the previous attempt to save money). We had a tough time with our engine throughout the first day. We were only able to enter two of the driving events. We had to call over one of the Briggs and Stratton representatives to check out our engine for us. This was the engine that was delivered the previous year and was not opened or used until this event. After inspecting the engine, the Briggs and Stratton representatives told us we had a defective engine and they would get us a replacement. Unfortunately, the vehicle wasn’t really designed for a quick engine replacement, so we had to withdraw from the rest of the events, including the all day endurance race the next day. It was pretty ironic that the one part of the vehicle that we didn’t design or build and that we weren’t allowed to modify was the thing that kept us from competing fully in the event. In the end, we ended up placing 39th out of 55 registered teams. This was thanks to the two events in which we were able to compete and my design report. While we didn’t place anywhere near the top, at least we weren’t in last place, and we were the smallest team that I saw at the event. We did have a load of fun at the event, and after it was all over, we all went horseback riding to blow off steam. The following year, as a graduate student at Cooper, we had two teams enter the competition, and I served as an advisor. This event was directly responsible for my first career after getting my Mechanical Engineering degree from Cooper Union – an Automotive Body Design Engineer for Honda R&D near Columbus, Ohio. 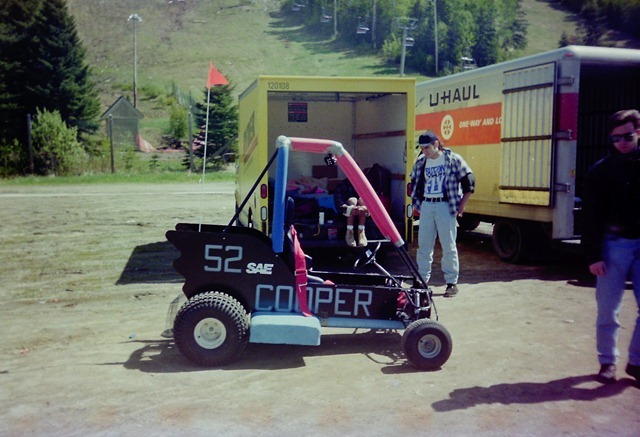 I also later went on to serve as the Chair of the 1997 SAE Midwest Mini Baja Competition held in Ohio. This entry was posted on February 15, 2011, 6:19 pm and is filed under Automotive, Career, Education, Hobbies, Personal, Travel. You can follow any responses to this entry through RSS 2.0. You can leave a response, or trackback from your own site. I’m curious why someone had to ride in the vehicle all the way there. We drove with our vehicle in a U-Haul all the way from New Orleans to Montreal in 1997 and I don’t think we even cinched it down. Uhaul only had two seats up front. Friend had choice of sitting in center console in the cab the whole way, or sitting in the dune buggy in the trailer.